Mustafa Bickioglu, a representative of the Turkey-based Sila Tour company, told Anadolu Agency that Israeli police did not allow entry to the Turkish citizens after they arrived at Tel Aviv’s Ben Gurion Airport; the tourists were planning to visit Jerusalem. Bickioglu rejected the visa condition claim and said the tour company had in fact received a collective visa for the group. “Israel does not provide separate visas for each passenger to tour companies that bring tourists to Jerusalem,” he explained. One of the tourists, Sumeyra Sevgulu Haciibrahimoglu, who is a 23-year-old masters student, told Anadolu Agency that Israeli officials had treated them as fugitives. “After questioning some of our friends in the security inquiry room, we were taken to different rooms in groups,” she said. “Some of the families among us wanted to be in the same room but Israeli police rejected this request,” she added. Haciibrahimoglu said she went to Israel to visit al-Aqsa Mosque in Jerusalem. “The only dream of the group that consists of mainly young people was to see Jerusalem,” she added. Israel’s Beersheba Central court sentenced a Palestinian worker of Turkish Cooperation and Coordination Agency (TIKA) to nine years in prison on Sunday. Mohamed Murtaja, 39, was TIKA representative in the blockaded Gaza Strip. He was arrested in Feb. 12, 2017 at the Erez checkpoint between Gaza and Israel while traveling to Turkey to receive professional training from his employers. He was convicted over six different charges like being member of Ezzedine al-Qassam Brigades, the armed wing of Palestinian resistance movement Hamas and siphoning financial resources to Hamas. Khaled Zabarka, Murtaja's lawyer told Anadolu Agency that the prison sentence is a "political" decision and Israel targets humanitarian aid institutions in Gaza Strip. 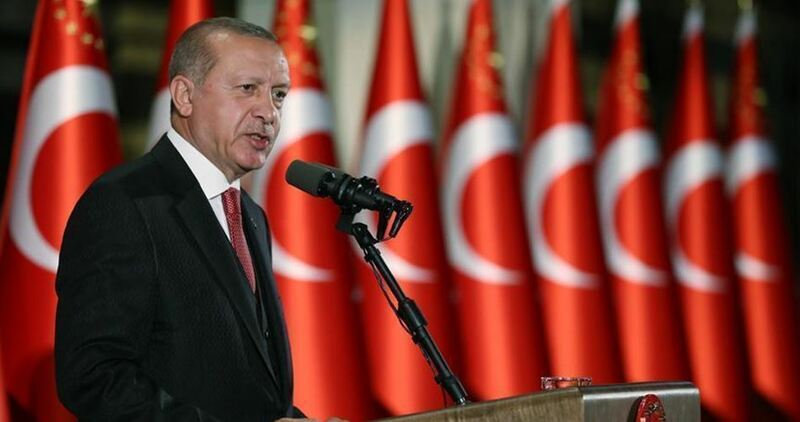 "Israel is very openly targeting Turkey's activities in Gaza and Palestine and giving a message to Turkey over Murtaja," Zabarka said. An Israeli military court has rejected an appeal filed by the Israeli military prosecution against the conditional release of Ebru Ozkan, a Turkish woman, and ordered her release. She was released later on the same day. 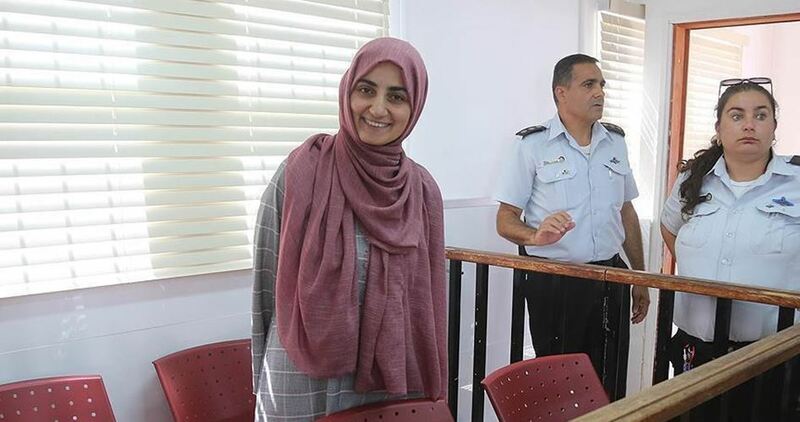 Ozkan, 27, appeared on Wednesday at another hearing held at the Ofer military court in the occupied West Bank after Israeli prosecutors lodged an objection on Tuesday against a previous verdict issued by the same court ordering her release on bail set at 15,000 Israeli shekels (roughly $4,125). 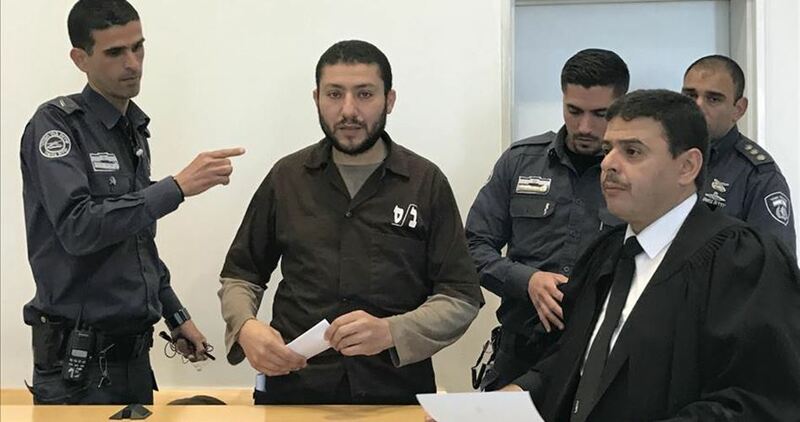 The Ofer court upheld the decision it had taken last Monday to conditionally release Ozkan, who has been under arrest since June 11 for allegedly aiding Hamas activists during a touristic visit to Occupied Jerusalem. Although she was released, Ozkan would not be able to leave for Turkey after her passport was confiscated by the Israeli police. Ankara, meanwhile, has registered its objection to her national's arrest, vowing to take appropriate steps in response. The military court ordered her conditional release on Monday. The 27-year-old was awaiting release if the Israeli prosecutor did not appeal the verdict by Wednesday. According to Ozkan's lawyer Omar Khamaysa, she was charged with asking to transfer money and a cellphone charger to Hamas members, but she wasn't aware of their identity. She was also charged with giving five bottles of perfume to another allegedly Hamas-affiliated Palestinian. Ozkan is not the first Turkish national to have been recently detained by Israeli authorities. In January, Osman Hazir, a 46-year-old Turkish citizen, was arrested for snapping a selfie at the Aqsa Mosque while holding a Turkish flag. And last December, the Israeli police in Jerusalem arrested Abdullah Kizilirmak and Mehmet Gargili after they quarreled with officers who had tried to bar them from entering the Islamic holy site. The same month, Adem Koç was arrested inside the Aqsa Mosque compound for allegedly disturbing the peace and taking part in an illegal demonstration. An Israeli military court on Monday ordered a conditional release for the Turkish citizen Ebru Özkan who has been under arrest since 11th June. Omar Khamaysa, Özkan's lawyer, told Anadolu Agency that during Monday's hearing at Salem military court, the court ordered a pending trial and conditional release for his client. Khamaysa said that Özkan will be free if the Israeli prosecutor does not appeal the verdict by 5 p.m. Tuesday. 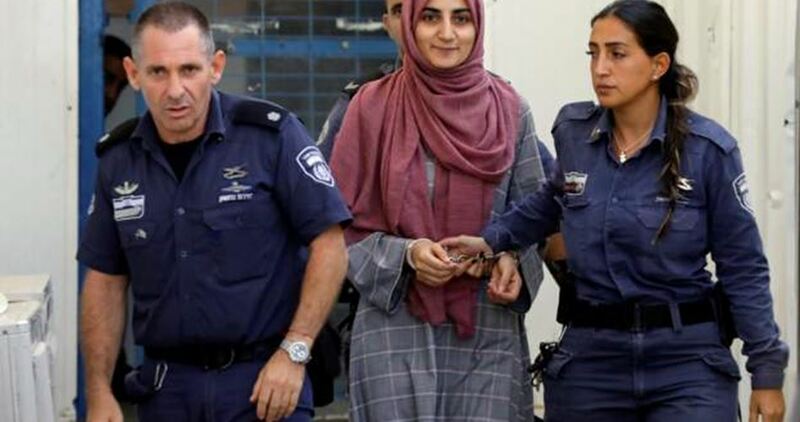 The conditions for her release are 15,000 shekel ($4,200) in bail, confiscation of her passport, and her signing in twice a week at a nearby police station. If the Israeli prosecutor fails to provide sufficient evidence, the lawyer asserted, the court order for a pending trial will come into force, and if the prosecutor objects to Özkan's release, the case will go to a higher court. Officials from the Turkish Embassy in Tel Aviv attended Monday's trial, he noted. Özkan was arrested by Israeli police at Ben Gurion Airport while she was preparing to return to Istanbul following a touristic visit to Jerusalem on charges of threatening Israel's security and having links with terrorist groups, allegations which she denies. Israel charged a detained Turkish tourist on Sunday with helping smuggle money and packages to anti-occupation groups, in a case that has angered Ankara, which has vowed to retaliate. Ebru Ozkan, 27, has been held captive since June 11 when she was detained trying to board a flight in Tel Aviv. One of the charges she faces is for smuggling five bottles of perfume, which her lawyer ridiculed as trivial, saying she should be released. Her lawyer Omara Khamaisi said Ozkan had been denied access to legal counsel for most of her detention and had not been interrogated in Turkish, leading to distortions in the way her answers to questions were recorded.